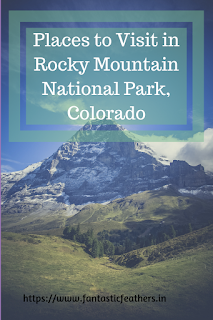 The Rocky mountain national park is one of the most visited parks in North America for it's natural beauty. 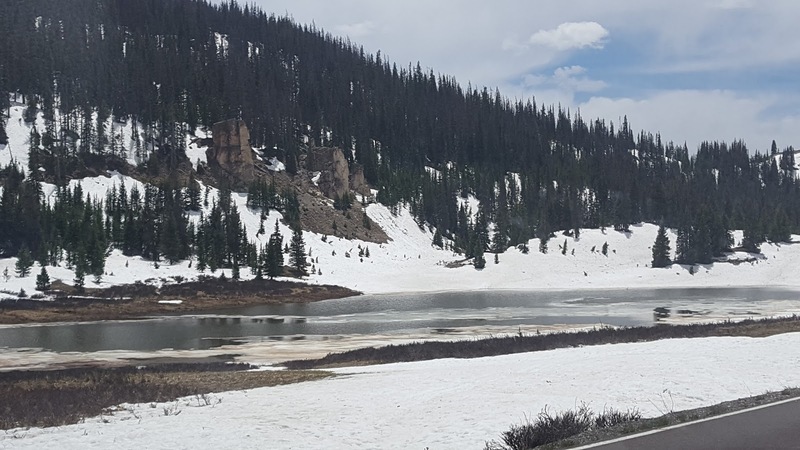 It is spread across the area of around 76 miles protecting the mountains, forests and alpine tundra. Estes Park is the main town to stay and visit the park. 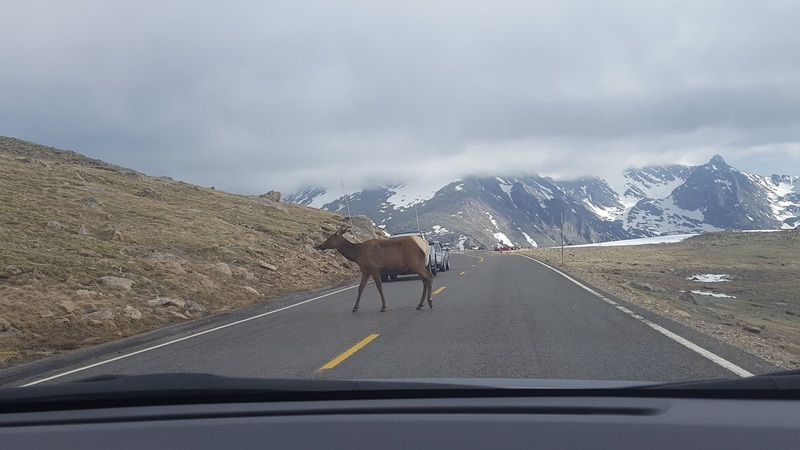 The park is famous for scenic trail ridge road and old fall river road. This park has more than 300 miles of hiking trails with extraordinary views of valleys, lakes and mountain peaks. That's why 2 days is not enough to walk all trails. Since we traveled with a 2-year-old kid, we had to select good but easy trails. Our day 1 trip started from Colorado Springs in the morning to Estes Park. We started at around 9 am and reached Estes park by 11 am. There is a queue to buy the entry pass to the park and so, we got delayed a bit. 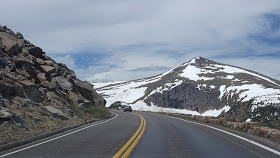 We got refreshed in the visitor center and started our drive on scenic trail ridge road. 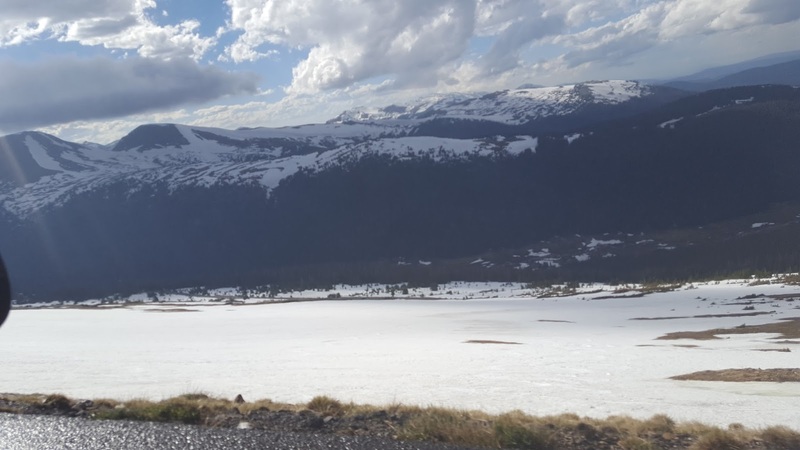 The trail ridge road is a 48-mile stretch connecting Estes Park to the Grand Lake. 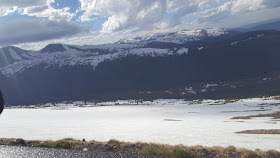 The scenery is extraordinary and the road took us to an altitude of around 14000 ft. The view of snow capped mountains and valleys is breathtaking. The speed limit is around 20 mph, there are many places to stop by and enjoy amazing views. We can also watch continental divide at one viewpoint. A frozen lake in summer! 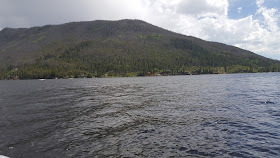 We reached Grand lake around 3pm. We took lunch at the visitor center. 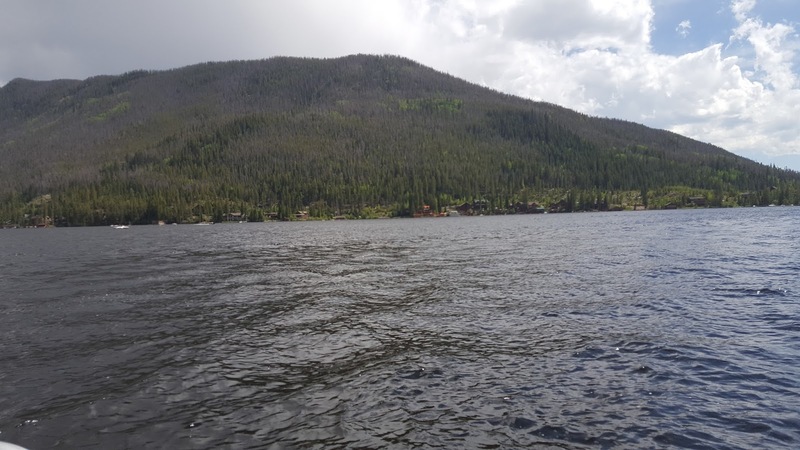 The Grand Lake is the deepest and largest natural lake in Colorado. We enjoyed boating in the lake for an hour. Children enjoyed the boating and the homemade ice cream near the lake. Adam's falls is just a few minutes from Grand lake. 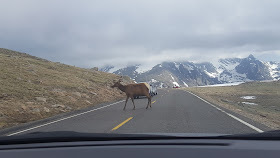 Since we thought it's dangerous to drive on trail ridge road back with less light, we had to return to Estes park by 5 pm. We reached Estes park by 8pm, had dinner and checked into our rooms. Thus, the first day is spent more on driving and capturing beautiful views. 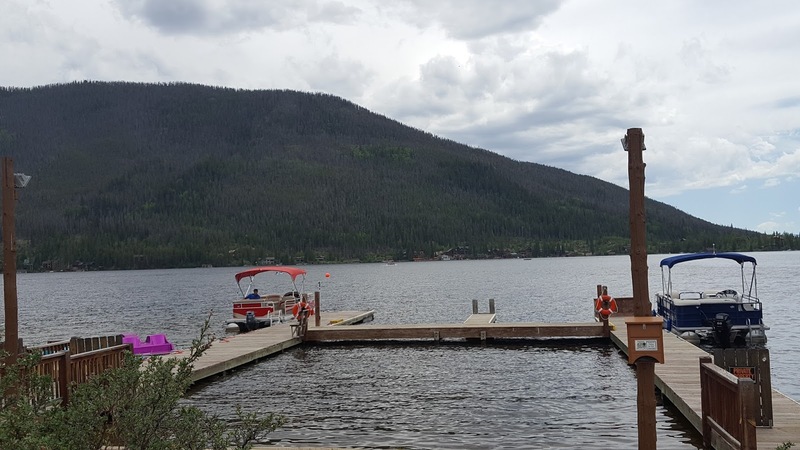 Estes lake near our hotel room is also great and buzzing with many tourists enjoying the Sunset while biking or boating. Estes Park is a lovely mountain town. The gushing river flowing along the road in the town is wonderful. Read our Day 2 trip details here. 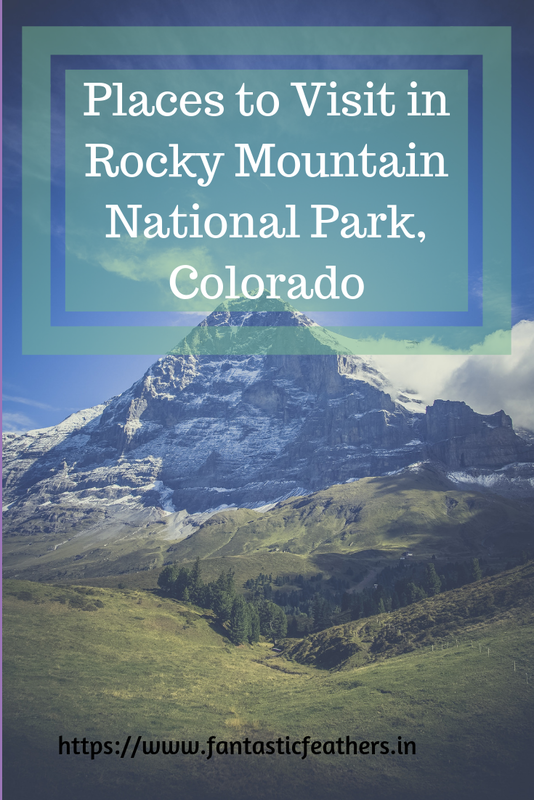 Read so much about Rocky mountains .I almost had a virtual trip with you and your family .Would love more pics. That's a beautiful place. Thanks Amrita. Wow! that looks beautiful. I am sure this would have been a great trip. Yes. It was very tough with 2 yr old. But the end result of hike is worth it.